Enables or disable a particular event. This attribute is unique to each event in the list. An arbitrary name that can be manually assigned to make the event list more human readable. Toggle breaking. 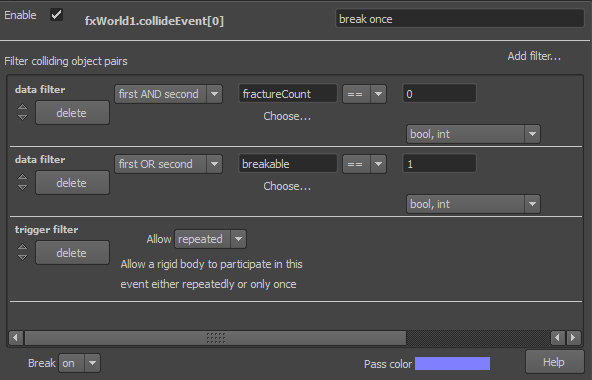 See the reference to collideBreak/animBreak in the script. The color a body will inherit if it passes all the filters and the script for this event executes. This page was last modified on 16 July 2012, at 04:58.